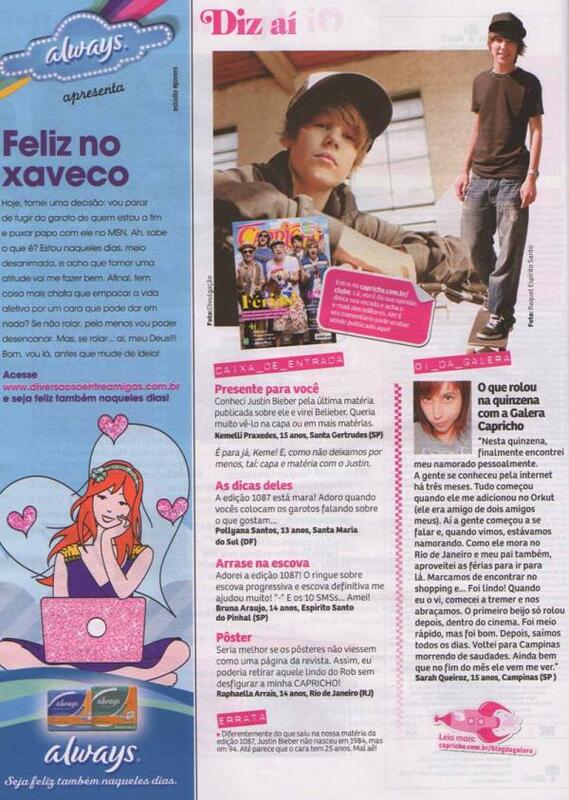 Justin is featured in Brazil’s teen magazine Capricho. 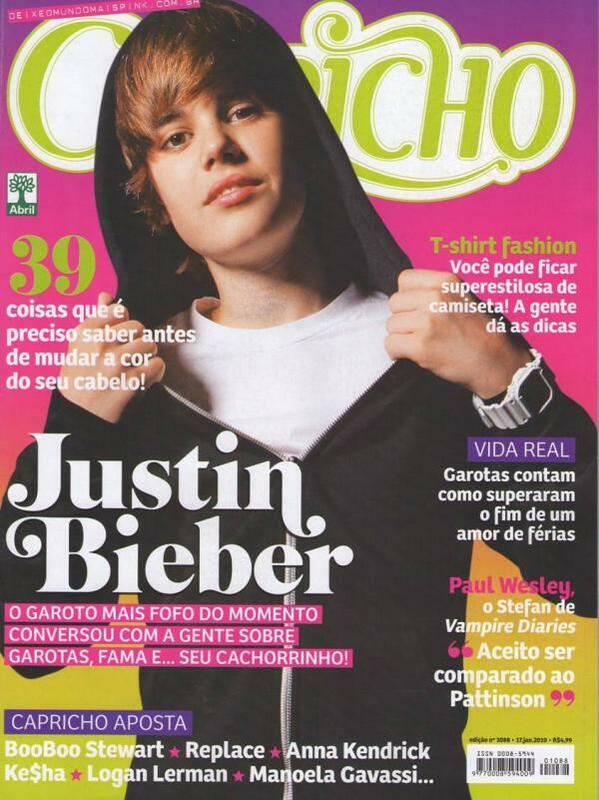 Fans of the R&B pop sensation, Justin Bieber, get the chance to meet him, in person when he visits HMV’s Westfield Shopping Centre store in London’s Shepherds Bush on Monday 18th January 2010 to celebrate the release of his new album, My World. Justin will be at the store from 4.00 pm to meet fans and sign copies of the new record which is released through Mercury Records the same day. Due to anticipated demand the event will be wristbanded. Fans can pick up free wristbands at HMV which allow them access to the event. 500 wristbands will be available only from the HMV Westfield store from 10.00 am on Monday 18th January onwards. One wristband per customer maximum, in person only, while stocks last, subject to availability, at participating store only.